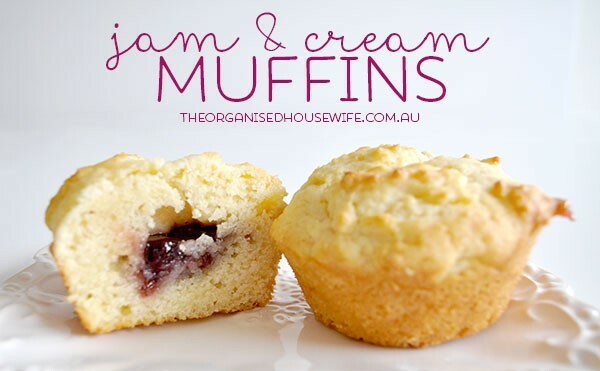 Miss 12 made a batch of these delicious Jam and Cream muffins for the kids school lunchboxes. 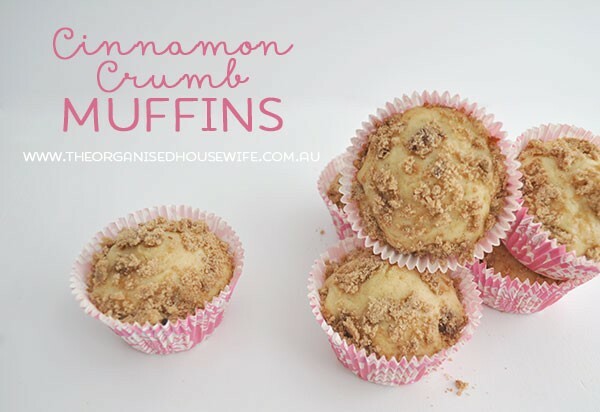 She followed this nut and jam muffin recipe, however she didn’t want to include the nuts. When we packed school lunches this morning Mr 12 put a muffin in a little lunch box and put it next to my computer so I can have it with my morning coffee. I just took a biteand it was so good that I grabbed one out of the freezer to photograph and share the recipe again with you. It tasted just like a jam and cream scone, she did so well, this is a yummy recipe! Remove from oven when golden, allow to sit in pan for 5 minutes. 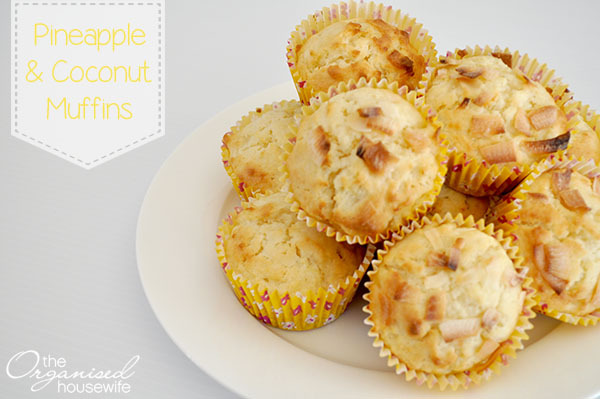 Remove from muffin pan gently, be careful as the jam will be very hot. 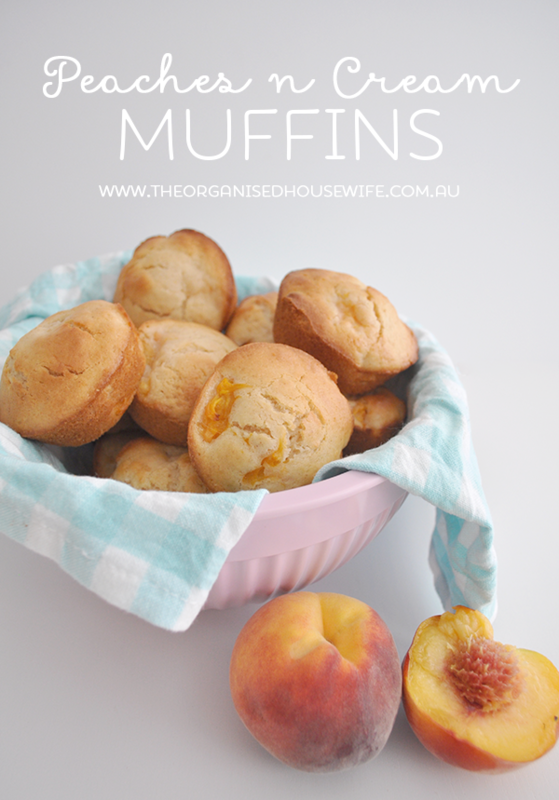 I’m saving these jam muffins for later, hubby loves any baking with jam in them, these are perfect! SR flour is not easy to find in Canada. Could you use plain flour and add baking sofa? Looks delicious. Hi Janette, Yes for every 1 cup of self raising flour you can replace with 1 cup of plain flour and 2 teaspoons baking powder.